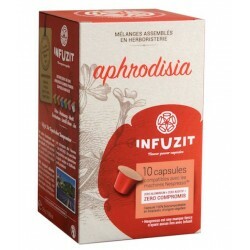 Stay alert and concentrate. 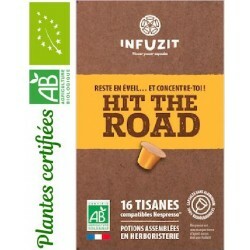 Infuzit Hit the Road is a Nespresso ® compatible capsule. 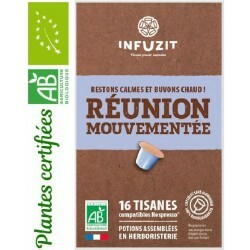 This active herbal tea consists of a mixture prepared in herbal medicine and is produced in France. The composition of this Infuzit tea is: Eyebright, Eleutherococcus, Mint, Cinnamon and Rosehip fruit. 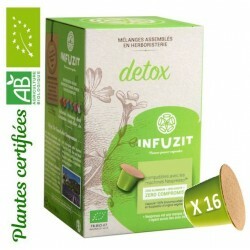 Drink warm and stay calm. 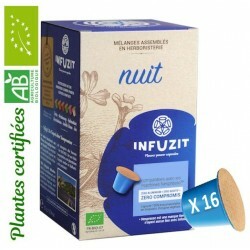 Infuzit Meeting eventful Nespresso ® compatible capsules. 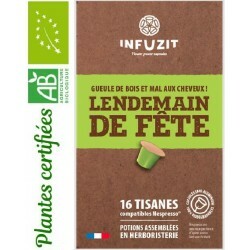 This active herbal tea consists of a mixture prepared in herbal medicine and is produced in France. 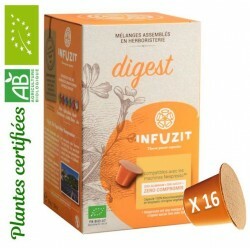 The composition of this Infuzit herbal tea is: Sweet Pepper, Marjoram, Bergamot and Lavender Flower.